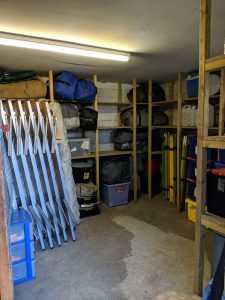 We had a very successful day sorting out the stores after a busy season of camping. 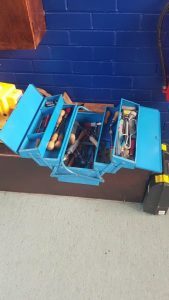 We also had a visit from Tools With A Mission who collected a number of old tools that we weren’t able to take to Kenya in the summer. They are a great charity who collect unwanted tools, refurbish them, sort them into trade kits and send them across the world for livelihood creation.